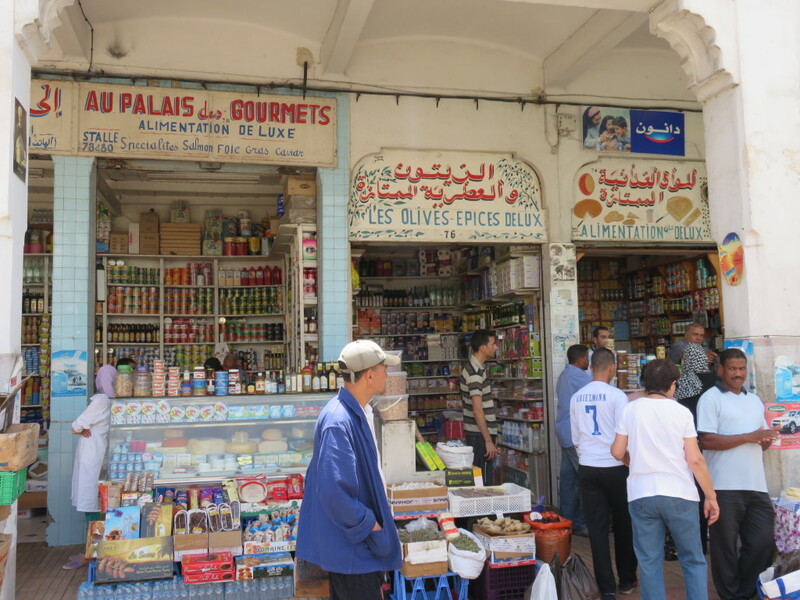 Casablanca, Morocco’s most cosmopolitan city. 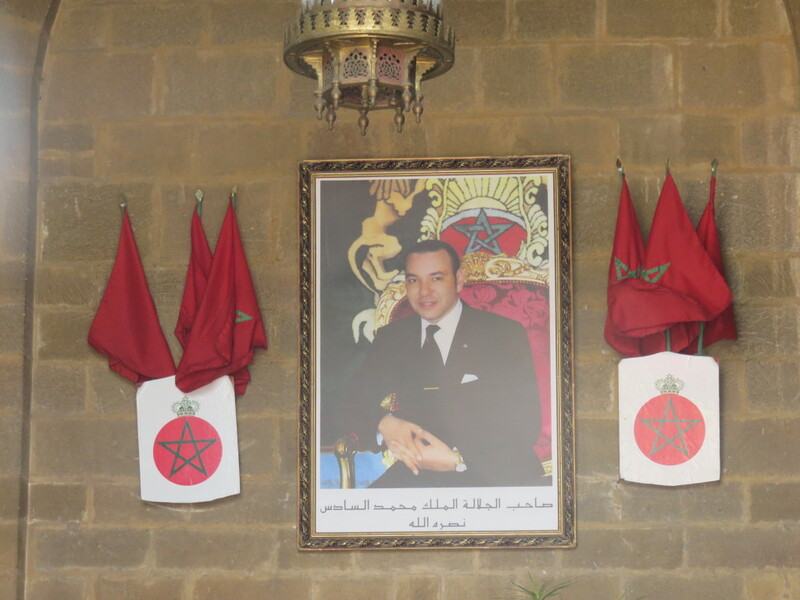 I would add to this title that it is Morocco’s very European city. 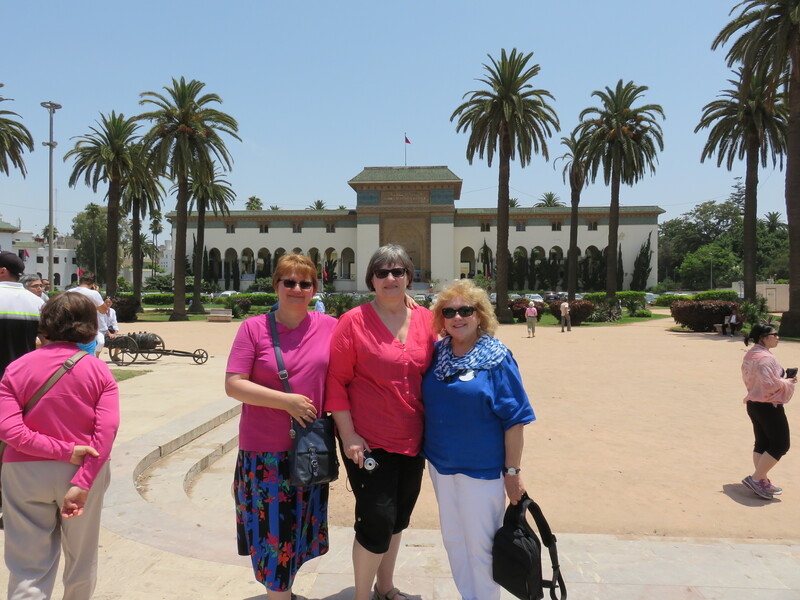 We started the day with an organized tour of Casablanca. 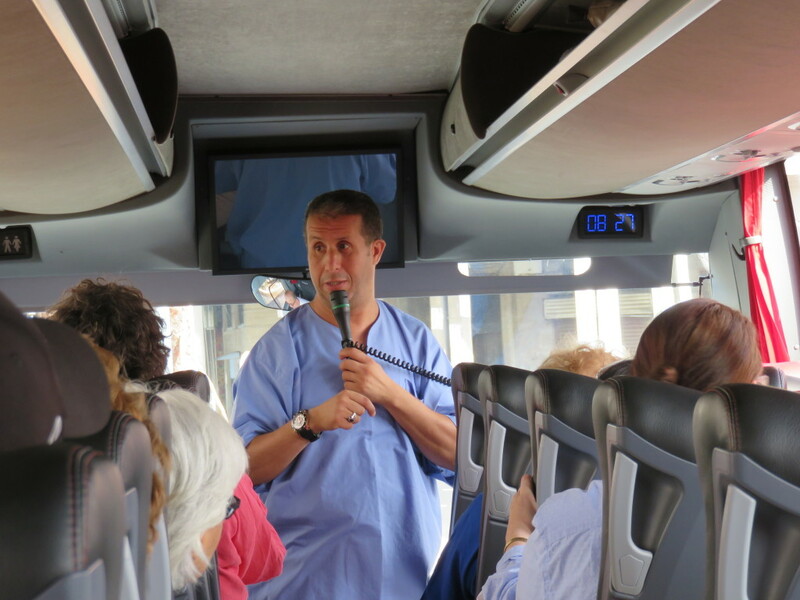 Our guide, Faoud, tried his best to present many aspects of the city, its history, economy, attractions etc. He is very knowledgeable and energetic. You can see his genuine love for his country. 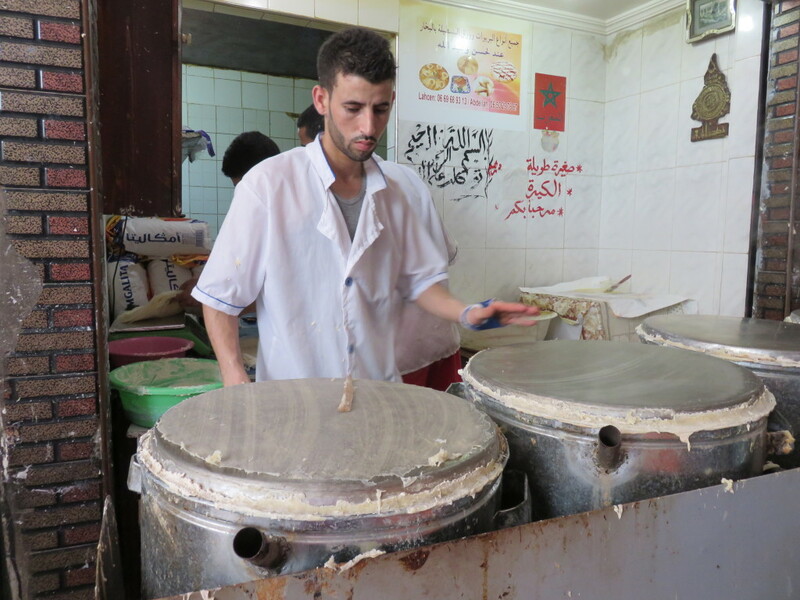 He is a Muslim man and he faithfully observes the Ramadan. 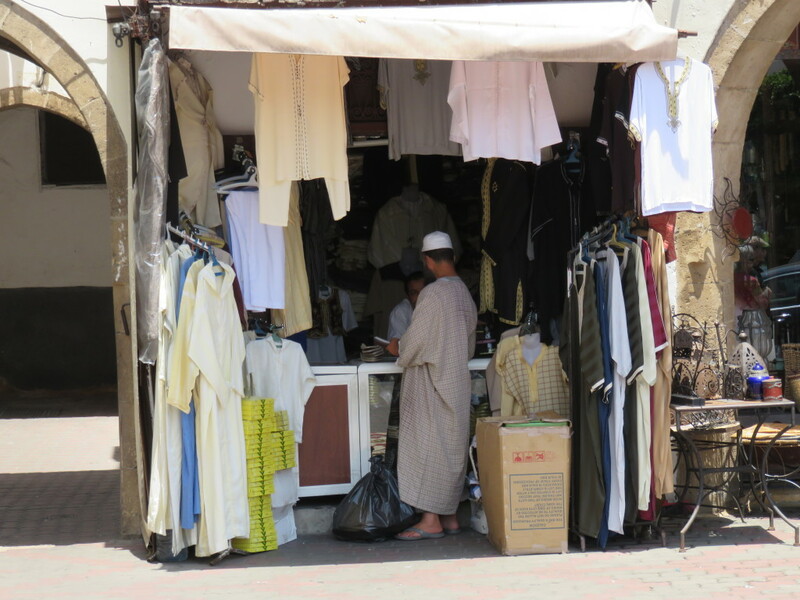 On the picture you can see him wearing his traditional clothes. 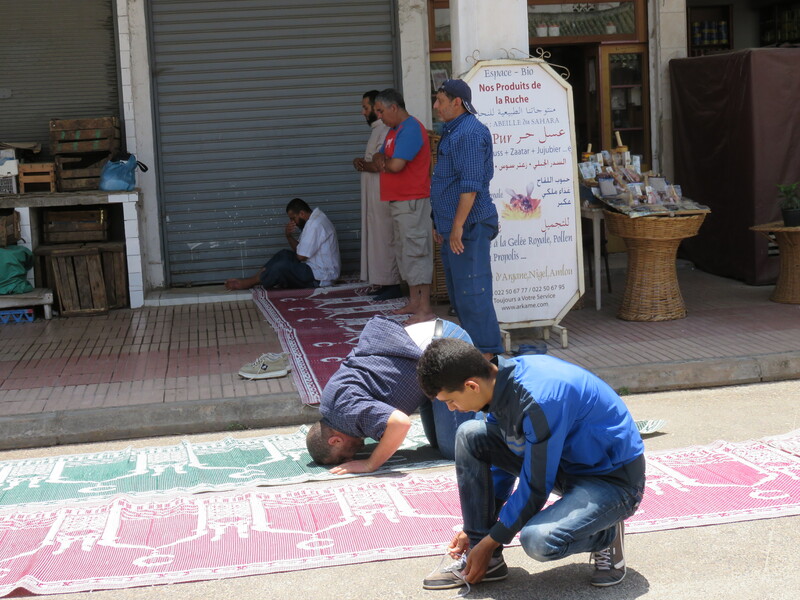 Casablanca is a city of huge contrasts. 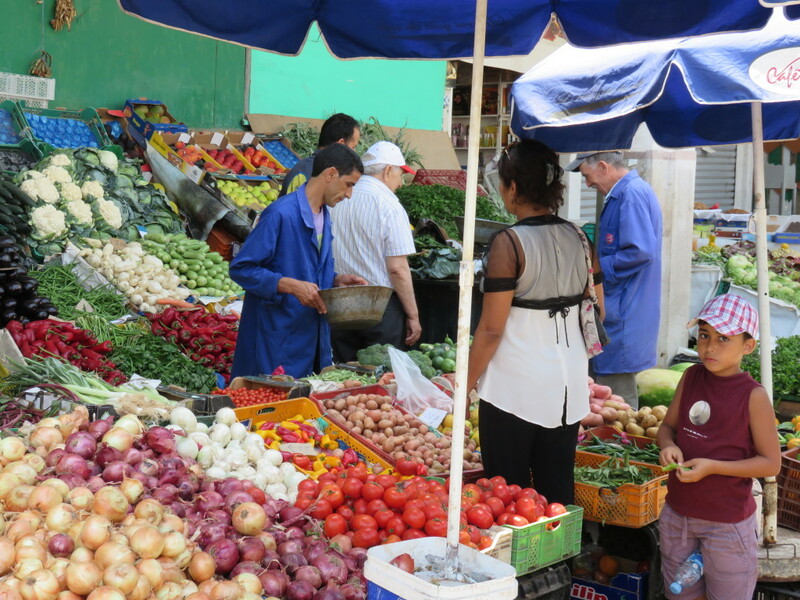 This historic and yet cosmopolitan city and port is the financial, industrial, and commercial hub of Morocco. 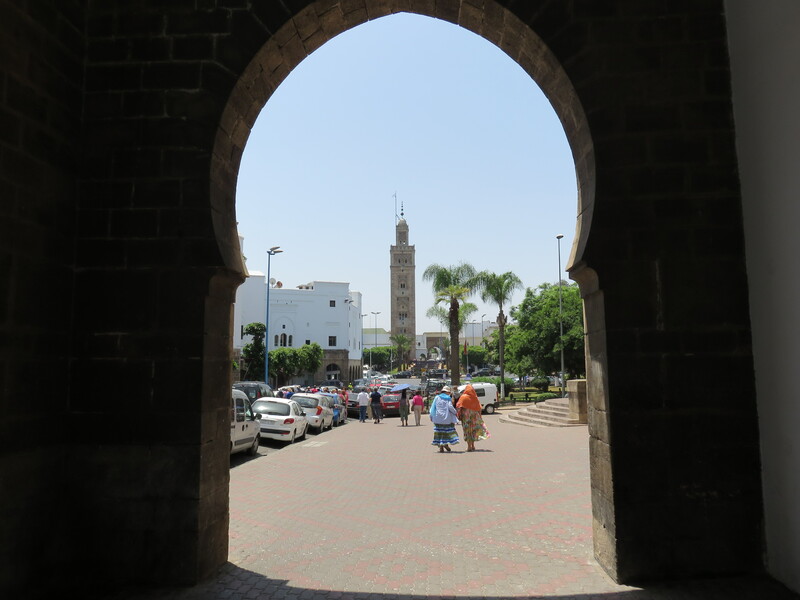 It is the largest city in Morocco with a population of over 3.6 million. 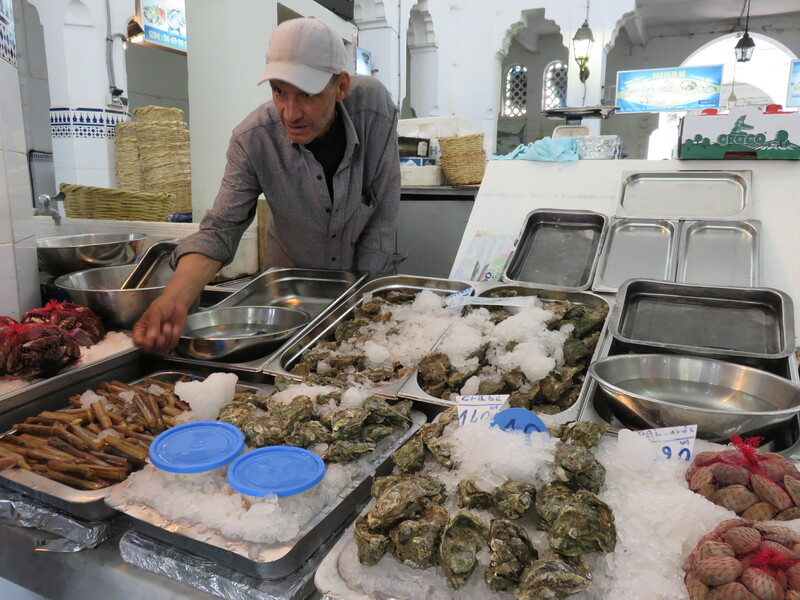 It is also the largest port in North Africa and a leading port in the world. 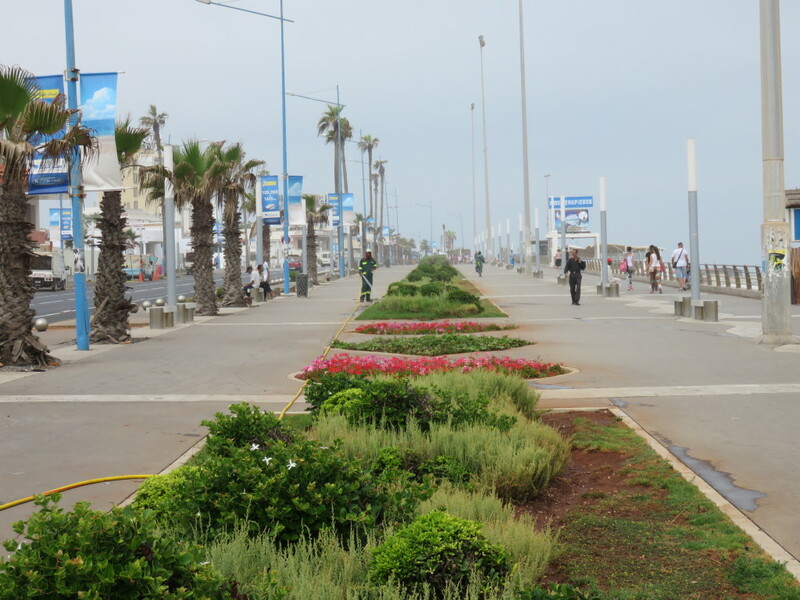 This is a walk along the beach and the Atlantic ocean. 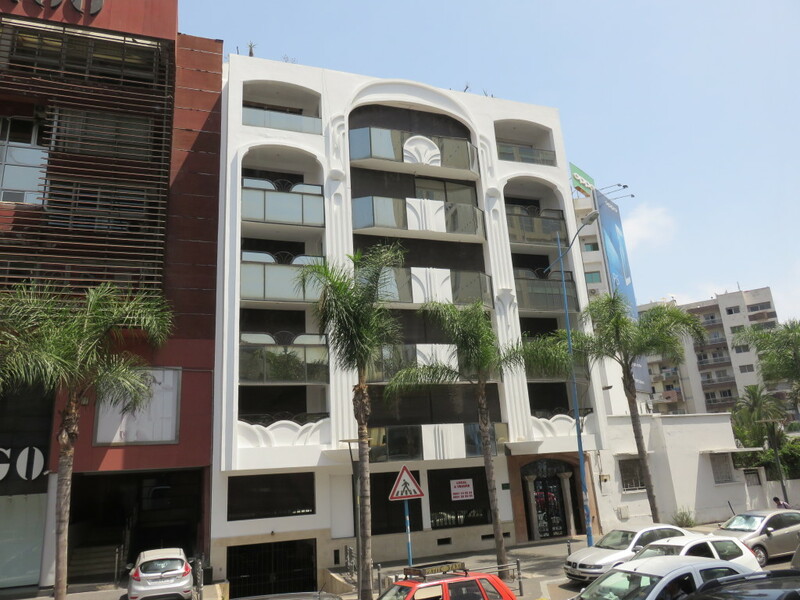 Casablanca, which originated as a small Berber settlement in the seventh century, today has an architectural mix that suits its status as one of Africa’s most cosmopolitan and influential cities. You can see here, modern skyscrapers, mosques, neo-Moorish homes etc. 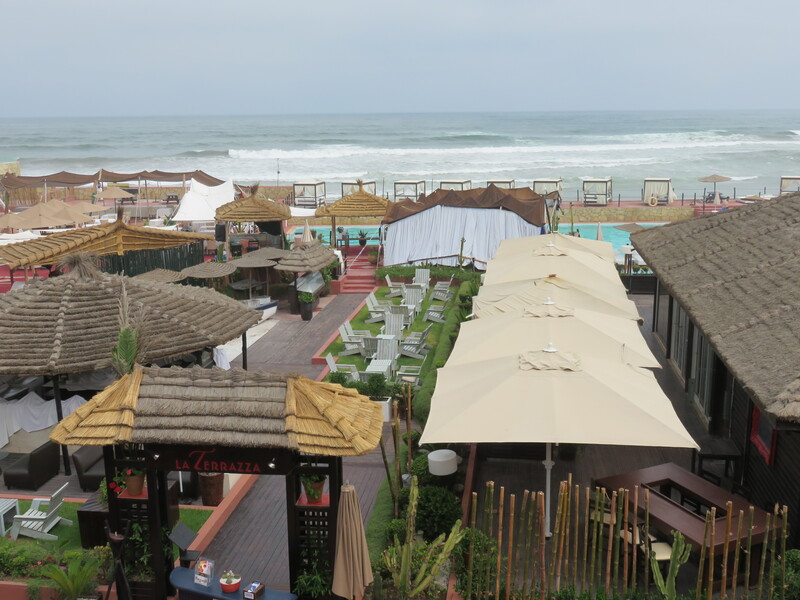 Casablanca is a new city. The city as we see it today owes much to the French protectorate of the 20th century. 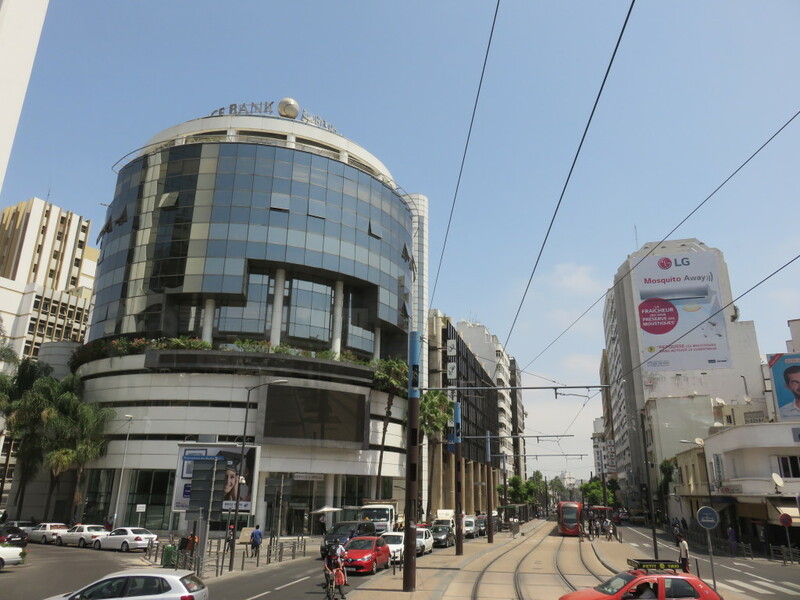 The first resident-governor Gen. Hubert Lyautey wanted to establish Casablanca as Morocco’s financial and commercial centre. 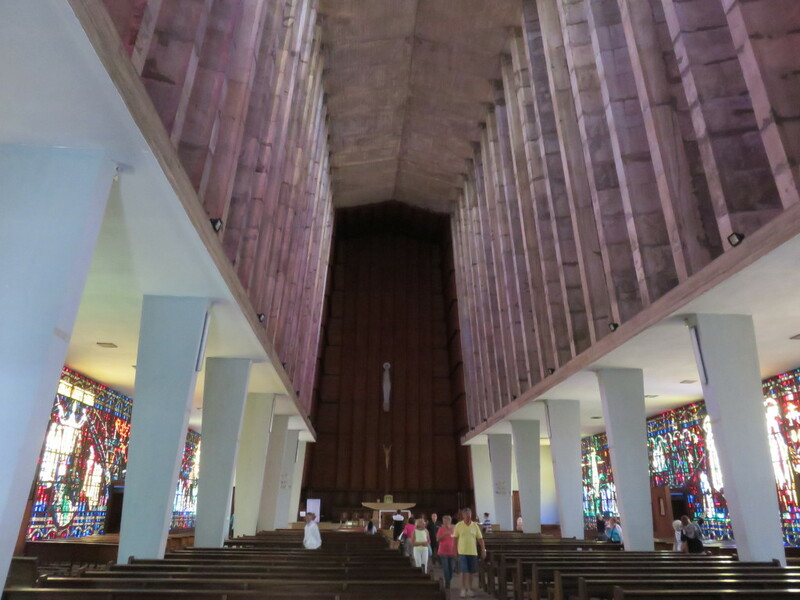 He engaged architects, town planners, and hundreds of construction teams to rebuild vast areas. 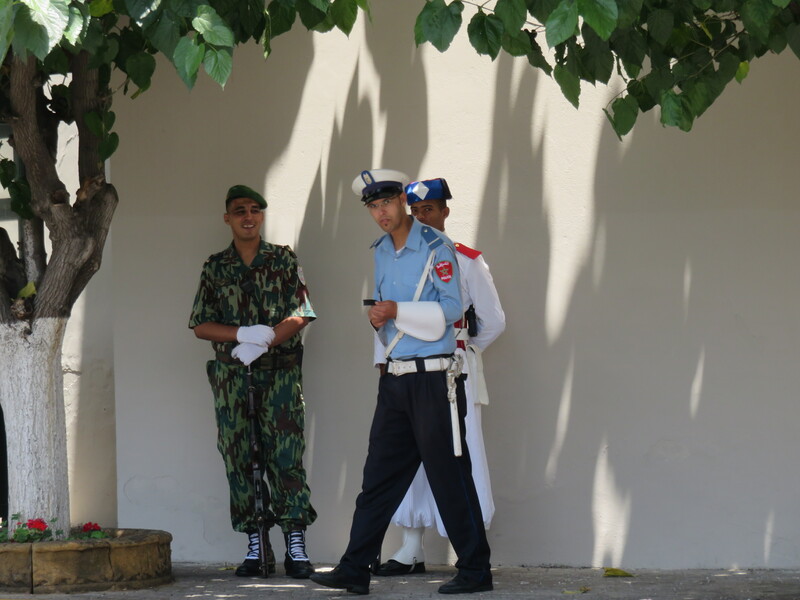 Of course what historians call French Protectorate, our guide calls: French occupation. 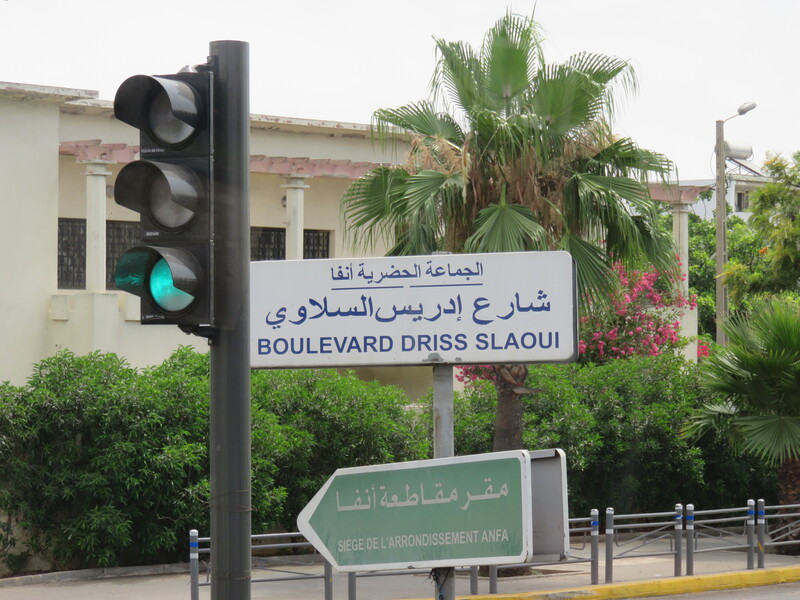 All signs in Morocco are in two languages: Arabic and French. 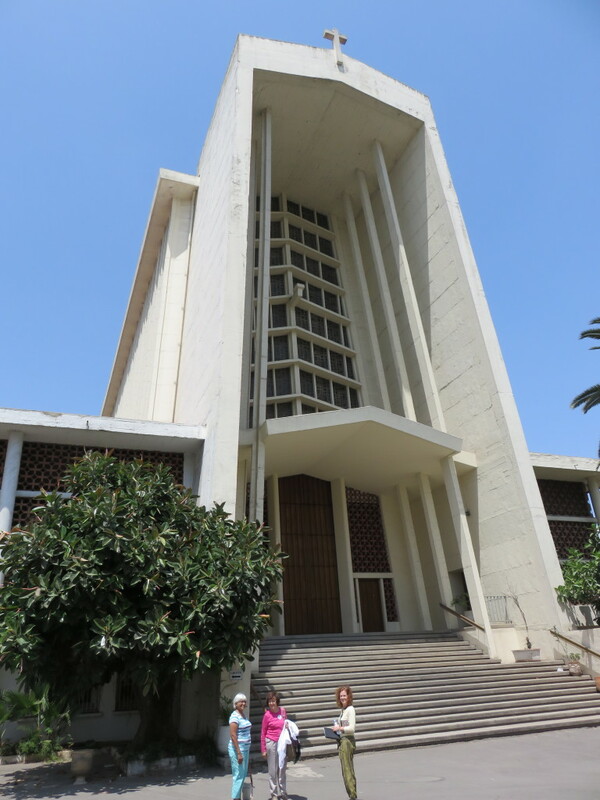 L’église Notre-Dame de Lourdes is reflects the power France used to have over Morocco. 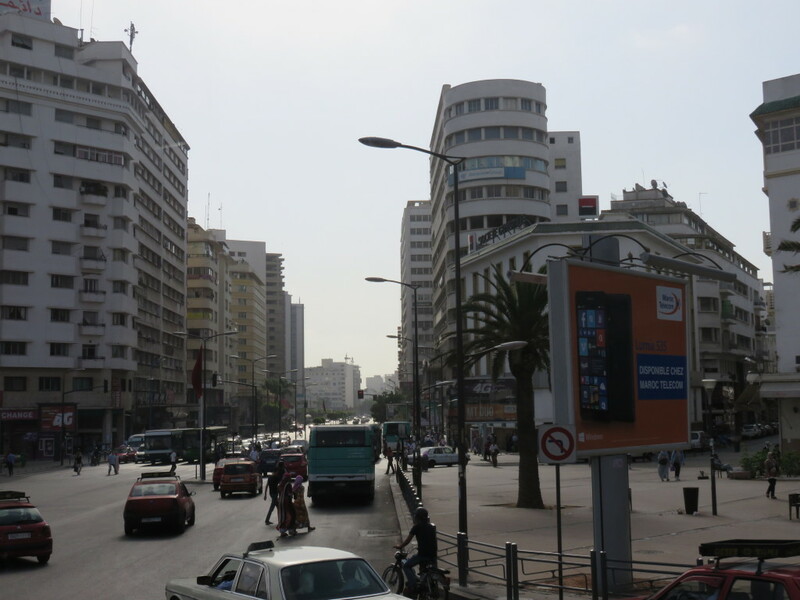 The reshaping of Casablanca began around 1912 and went on for more than 50 years, even after the country became independent from France in 1956. The result is a showcase of art deco and neo-Moorish architecture and one of the best examples of colonial urban planning in the world. 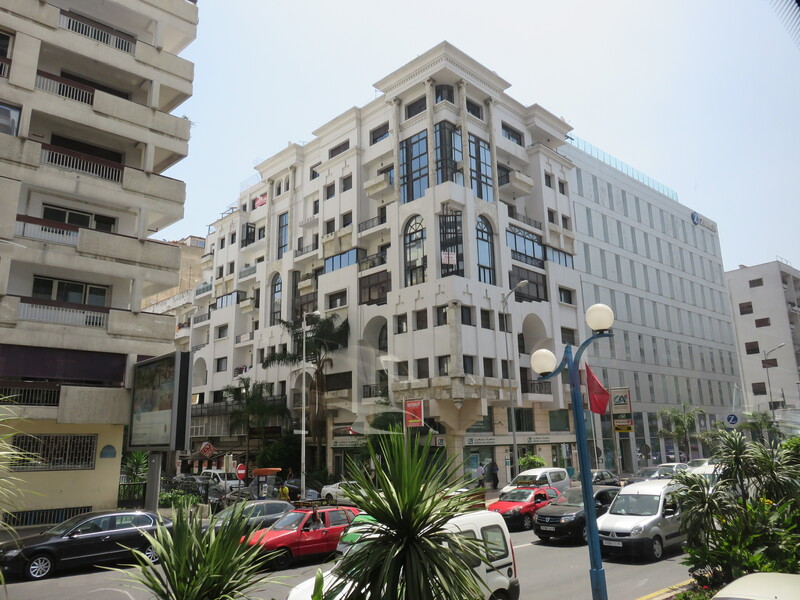 This white building is an example of art deco architecture in Casablanca. 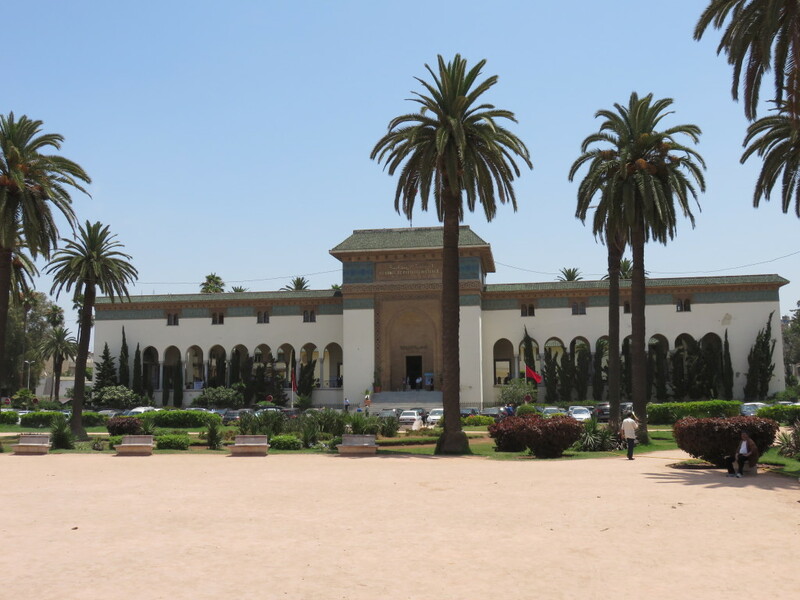 The Palais de Justice (Law Courts) on Place Mohammed V . Designed by Joseph Marrast in 1925 in the Mauresque style, a blend of traditional Moroccan and Art Deco architecture. Amazing summary and photos Mama. I love the art deco building. It seems like a beautiful city!